The internet pre sale has ended. Shadow Circus was formed in 2006 in New Jersey when guitarist/keyboardist John Fontana set out to record demos to use as a calling card for session gigs. When the music caught the ear of vocalist David Bobick, he insisted that the music be fully realized with a complete band. With John’s background in classical and rock, and Dave’s degree in musical theater, the two set out to form a unique band that would be just as rocking as it would be progressive, and embrace the aspect of entertaining live performance that they felt had been lost since the genre’s heyday in the 70’s. The band’s name and first song was inspired by Ray Bradbury’s Something Wicked This Way Comes, which would be the first of many literary references in their work, and Shadow Circus was born. In 2007, the band released their debut, Welcome to the Freakroom, which was met with accolades from critics and fans alike. 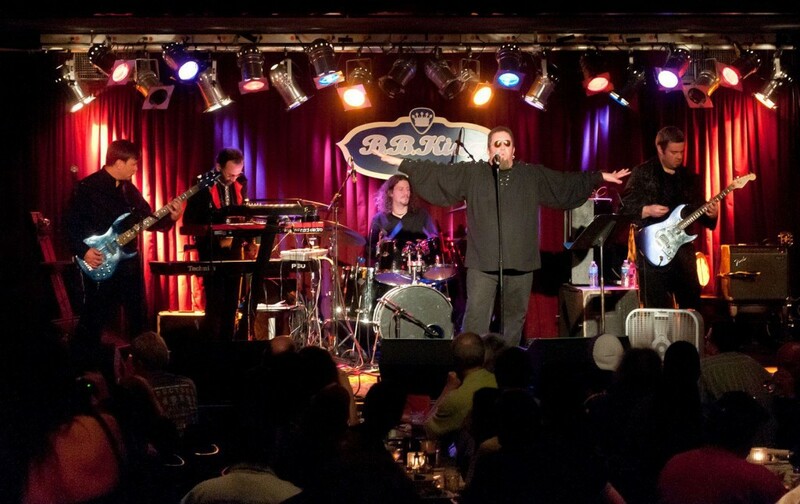 Featuring songs such as the aforementioned eponymous track, and “Journey of Everyman”, a 12-minute opus inspired by the epic fantasy novel The Talisman, the band quickly established themselves in the international prog community as a unique new group, with a distinctly symphonic and rocking sound. The band immediately went back into the studio to begin work on the follow-up. More than two years in the making, Whispers and Screams, released in late 2009, features the ambitious 34-minute suite “Project Blue”, inspired by the Stephen King epic novel, The Stand, and the Twilight Zone homage “Willoughby”, which has become a fan favorite and staple at live shows. Shadow Circus’ appearance at the 2010 Progday festival cemented their reputation as an exciting and original band in the American progressive rock scene. The band, now signed to 10T Records, has just released their third and most ambitious CD, On a Dark and Stormy Night. Once again drawing upon literary inspiration, the new release is a concept album inspired by Madeleine L’Engle’s classic science fantasy novel, A Wrinkle in Time. This release is widely considered the band’s best and most ambitious release to-date, earning critical praise and an exponentially growing following. What words define the Edensong sound? Even a term as unwieldy as “epic orchestral progressive acoustic metal-infused rock” does little to categorize Edensong’s music. Edensong draws deeply from classic symphonic progressive acts, with complex song structures that resemble those of early Genesis or Yes, but Edensong does not simply rehash the music from this Golden Age of prog rock. Edensong experiments with wide-ranging musical styles, adding orchestral instruments like flute, violin and cello into the mix of a versatile hard rock band. With what other act would you hear heavy metal guitar riffs, a classical guitar, flute and cello chamber trio, a full church organ, and North Indian tabla playing all in the span of a single album? Edensong’s music can be as serenely melodic as the music of Simon and Garfunkel and Cat Stevens, or as aggressive as that of Metallica or Opeth. Not even Jethro Tull (another important influence for the band) is quite as eclectic. Using sophisticated and unpredictable compositions, not unlike the large scale works of Dream Theater or Rush, Edensong’s music tells a story, at times attaining the epic feel of the scores of Hans Zimmer or Nobuo Uematsu, while at others achieving a “folkier” simplicity, a singer/songwriter sound that might be more reminiscent of Billy Joel or The Beatles. Edensong gains inspiration from many styles and eras of music, whether it be from the millennium-long history of Western classical music or the past half-century of rock. While influenced by so many from Gregorian chant to grunge, Edensong rejects any superficial trend in pop music and instead forges its own path through the droves of homogenous sound-alike acts. Edensong, along with a handful of other new bands, such as The Mars Volta, Coheed and Cambria, Three, and Dredg among others, attempts to creatively revitalize rock music in a movement away from the corporately-constructed “mainstream” and toward artist-driven freedom and true originality. Luckily, Wesleyan University was just the right strange and eclectic place to mount such a show and “Beyond Eden” was performed in spring 2003, with a grant from the school. The show, half avant-garde brilliance and half complete disaster, did yield at least one important and lasting result: The formation of the show’s house band, which later became known as Edensong. 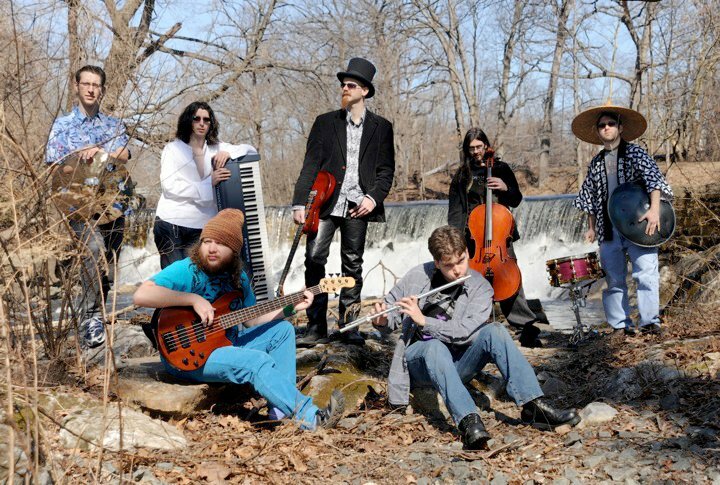 With music inspired by the breadth of the school’s music curriculum, embracing western classical, experimental, and world music traditions, mixed with James’s own somewhat guilty passion of progressive rock, Edensong continued to perform in Connecticut, and later in New York, when the band relocated after graduation. The tumultuous early years saw many members come and go, some of whom went on to pursue careers in dentistry, veterinary medicine, film-making, and one who left to form the popular indie rock band MGMT. Edensong’s “The Fruit Fallen”, a collection of James’s songs dating back to 2000 and recorded by various incarnations of the band between 2004-2007, was released in 2008 to critical acclaim in the progressive rock, metal and AOR world. The album’s success led to an invitation to play Pittsburgh’s Three Rivers Prog festival. James accepted without hesitation, but unfortunately also without an actual band, as Edensong had ceased playing live in 2006 after a dispute over a planned US tour. So, with heightened dedication and a little bit of luck, James began to assemble the new Edensong. Edensong 2.0 began with the addition of keyboardist Stefan Paolini, James’s acquaintance from a youth choir many years before (the two bonded over a Dream Theater t-shirt and vowed to work together on some distant day). Stefan dragged his good friend Barry Seroff, Connecticut based composer and flutist with an aversion to all things “prog”, kicking and screaming into the fold (within a matter of months, Barry decided that Edensong wasn’t so bad after all, even declaring once after a show of the progressive rock audience “These are my people!”). After an initial struggle to fill the bassist role, the band was reunited with the mysterious TD Towers, who played bass on “The Fruit Fallen”; after years of no communication with the band, he showed up at James’s doorstep one evening at midnight equipped with his bass and a basket of raspberries proclaiming simply, “I have what you need.” Another reunion, this time on the stage of the Three Rivers Festival, reunited James with his former high school bandmates from Echoes of Eden, including drummer Tony Waldman, fresh from a four year stay in Japan, who has since become a full time member of Edensong, thus rounding out the full lineup. The current Edensong lineup brings together professional musicians of many backgrounds, each with a unique set of influences, creative sense, and innate strengths, but united in their collaborative goal to bring Edensong’s dark blend of thoughtful orchestral rock music into the world. Edensong is currently in the studio finalizing work on a new album. This is the band’s first time performing on the NJ Proghouse stage and the band’s first public performance since late 2010. The band is excited to debut some brand new material and play some old favorites as well.